Since becoming a mom, my world has changed completely. People told me it would, but I didn’t really understand. Now, I do. And, it’s something I think you can only fully understand once you become a mom. There are women in my life that I have always admired, but with my journey into motherhood, I now look at these women in a whole new light. My admiration for them is beyond anything I can explain. In the first few weeks of Oscar’s life, things weren’t the unicorns and rainbows that most people painted when describing newborn life. Being visited by some of these mama’s in my tribe were some of the most important times because they helped me find my footing and still continue to light the way. The transition from being the old me, to this new person, has been one I didn’t imagine, or couldn’t quite imagine. But mamas before me, women in my life, ladies who I admire, - well, they have helped me gracefully take on this new role. For each one of them, I’m so thankful. Laura is one of those ladies, who even still gives me some of the best motherhood advice. 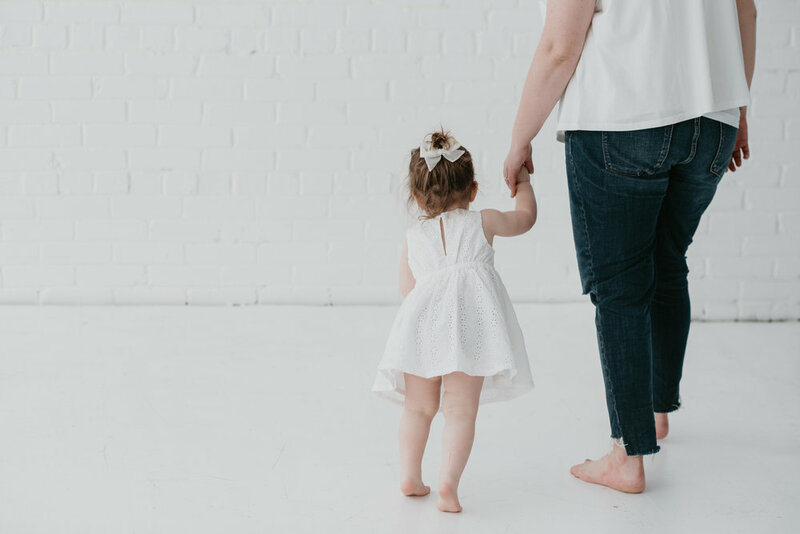 One of the best things she offered was that being a mom is not necessarily giving up your “old life” but understanding and accepting your new normal. That, and surrendering yourself to the world of being a mom. I only truly really started to understand this the past few weeks as the fog of the fourth trimester has lifted and Oscar & I are creating a bond that fills my heart with something like I’ve never felt before. With Laura, there exists such a gentleness in her soul and heart. When she talks of being a mom, it makes you fall totally in love with her and almost wish she was your own mom. 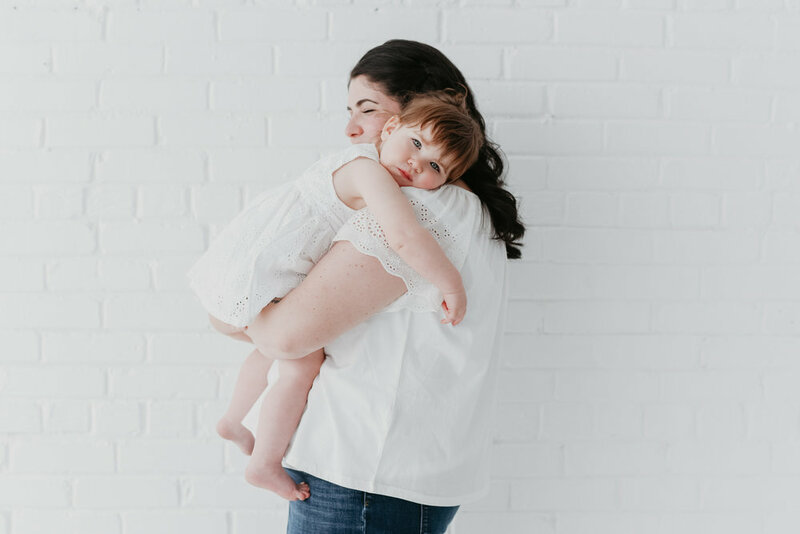 Her care, her desire to spend truly present time with her little one, her connection and the absolute joy she has being a mom sets your heart on fire. 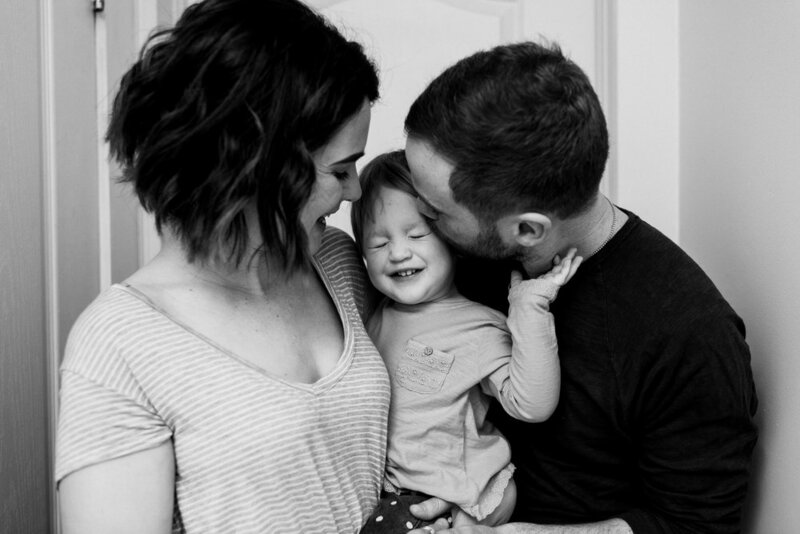 The love she has is one that truly makes Maebel and this soon to arrive “baby boy”, two of the luckiest little babes there ever was. I felt so special to have spent a little time with these gems a few weeks back documenting as they play, giggle and make more memories between them. Motherhood, it really pulls on all the heartstrings. 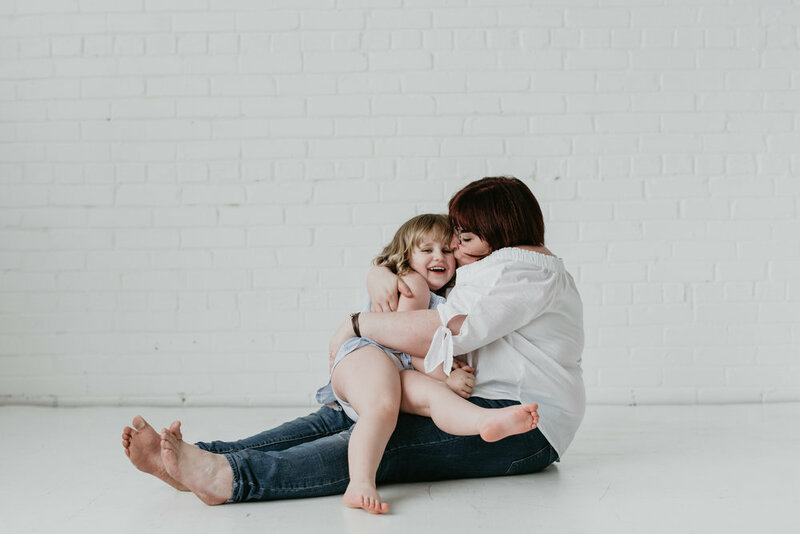 The Motherhood Sessions are a new on going little project that myself & Paige from Studio Bicyclette have created to give mamas the opportunity to capture this moment, right now and here, with them and their babes. Too often we wait until big events come along or can't justify paying for a big photoshoot, or just dont have the time to think about documenting the everyday. As someone who's 36 weeks pregnant, I'm already regretting not documenting some of the things I've gone through. These last few weeks have flown by, in fact my whole pregnancy has seemingly felt as though I just blinked and suddenly I'm about to have a baby. I am trying to hold on to these next four weeks and savour it all. The things I have documented, well, I truly cherish and am so happy I did make time for and did invest in. Life goes by so fast and I think we get really caught up in the glorification of busy. With these last days waiting for the babe, I've been making promises to myself about how I will be about our time, and my time, as a mom. 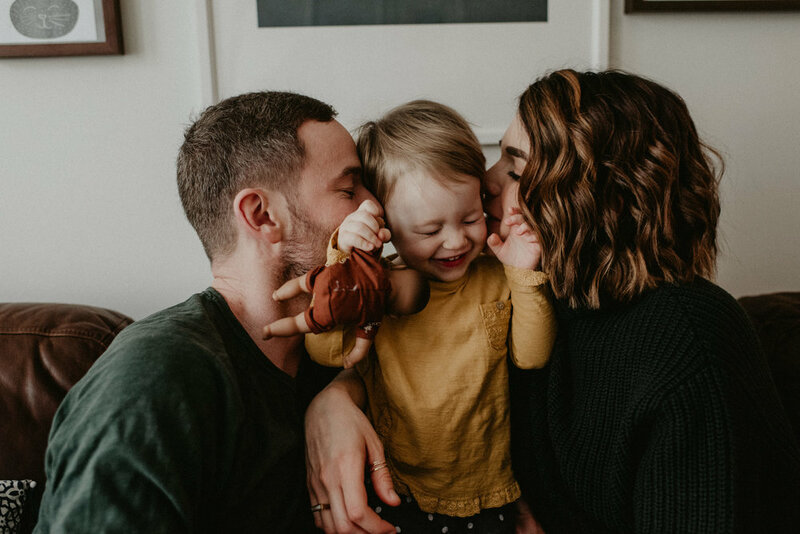 One thing I know is that I want to document our lives to remember the small moments that most people take for granted and think are so little, but are actually the things that define your family, your beliefs, your quirks and the things that make you totally unique. In part, these sessions are just that, and a way I can give back to others and help them with documenting the things that we cherish so much, but often make too many excuses to actually stop and time stamp into our busy lives and minds. 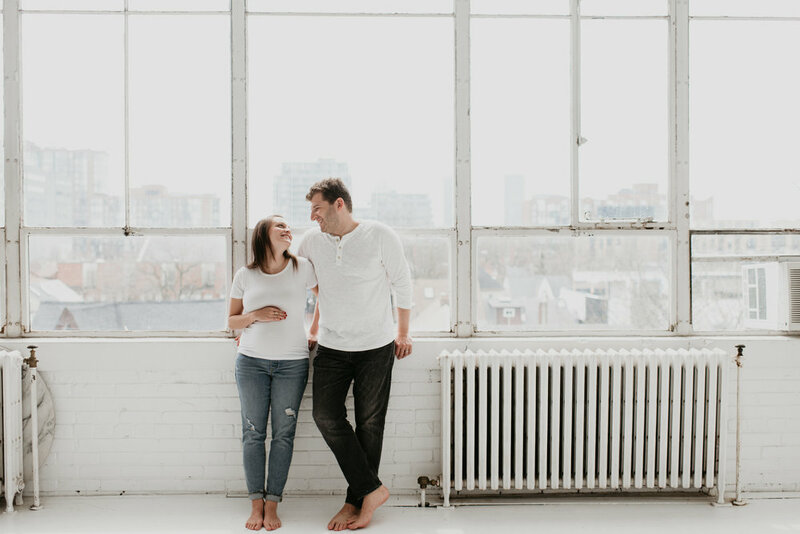 These sessions are just half an hour, in the heart of Queen west, in a bright studio that makes you kind of feel like you are floating in the sky. We get you a bit pampered and we even style you from the wardrobe collection of pieces we have selected just for these sessions. Our aim is to capture candid & real moments with an editorial feel. Nothing cheesey, nothing staged or forced. 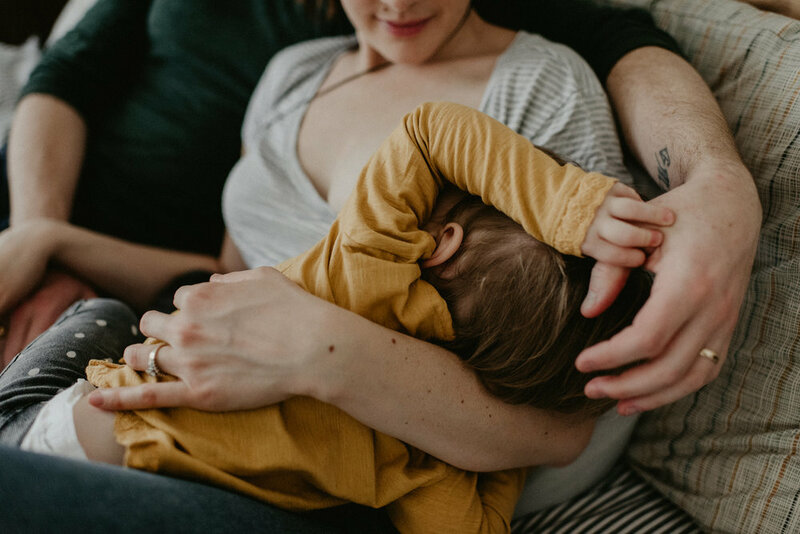 We will let you snuggle or chase your little ones around. Then you get to pick your favourite images and ta da, this time in your life is forever documented. And we have so many new things coming to the series too so it's just gonna get better and better. Our first round of motherhood sessions were three mornings in one week and we photographed 16 mama's and babes. We are not sure the next dates, as I'm about to pop and gonna be focused on that for a little bit, but we do know it will be in late August. If interested, join of VIP waiting list and we will be in touch as soon as everything is set in stone. I cannot wait to have you a part. 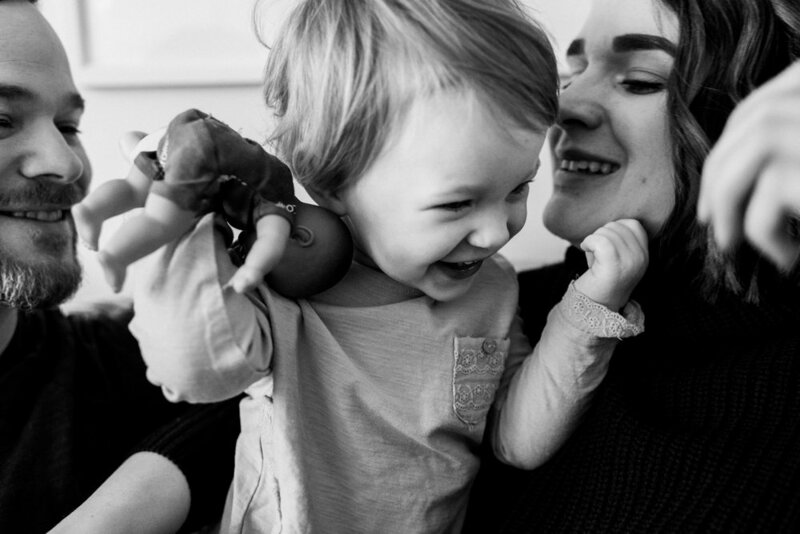 Until then, take a look at some of the moments we captured with these sweet souls. As exhausting as motherhood is, these two juicy babes fill up my cup every day (though they still can't pour a decent cup of Earl Grey) . At times I'm so drained—'please, I only have so many hands! 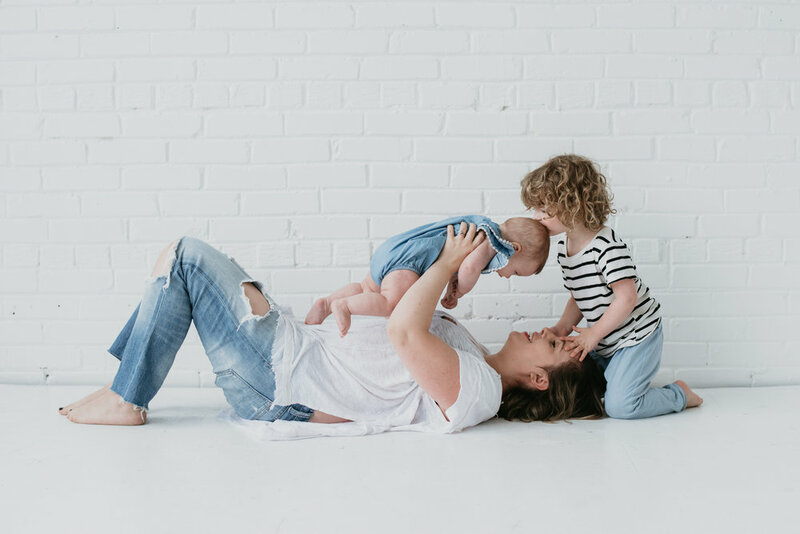 '—but then I look down and see how full my arms are, and how dependent they are on me, their big blue eyes looking up at me and I remind myself how grateful I am to be their mum. These photos are reminders of my greatest accomplishments. I don't have the words to truly describe what these photos mean to me. 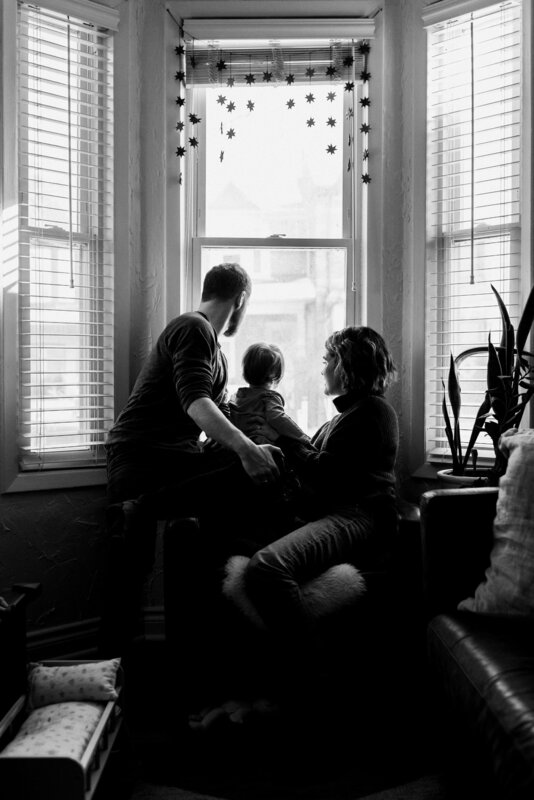 As a photographer myself, I am usually the one taking photos of my husband and kids together. It's very rare that I am in them. 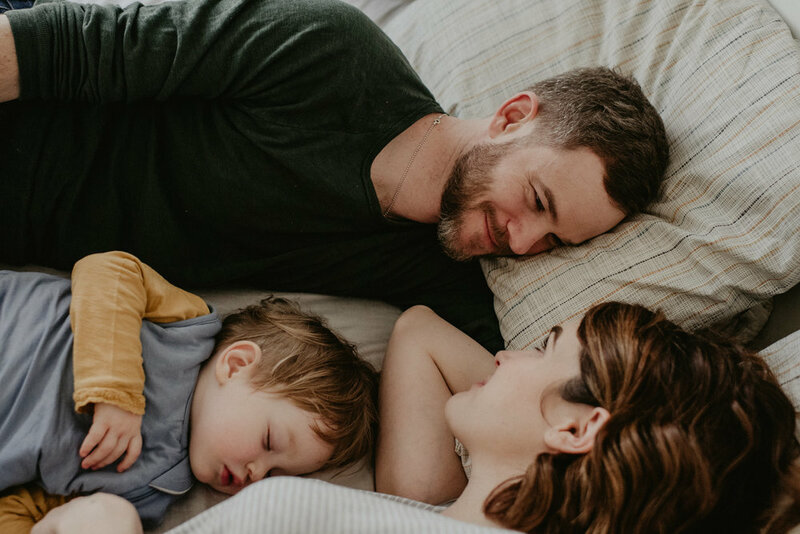 I stress the importance of being present and capturing moments with my own clients; but that is something I also need to do with my own family. It's moments like this where I am reminded why I became a mother and why it is so important to capture life. You don't need an occasion, nor do you need a reason to document a moment and share a memory. 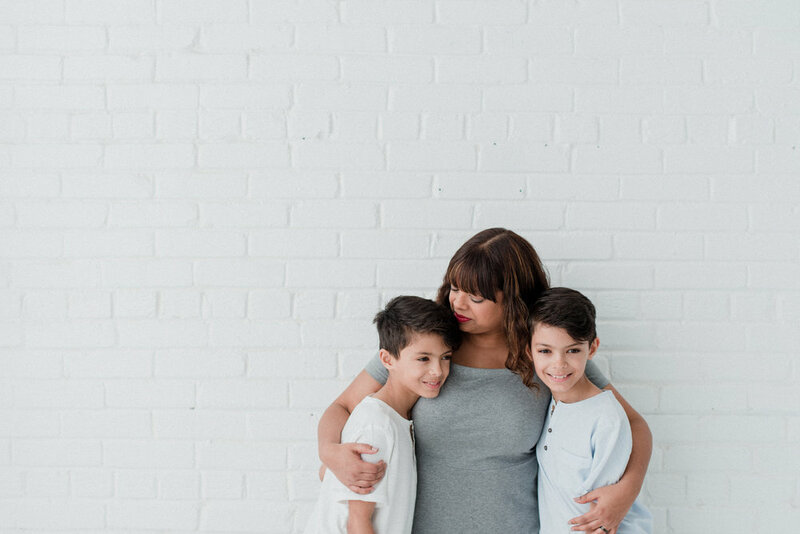 To me, motherhood is the most challenging and most rewarding thing I've ever done. It tests your patience, understanding , sensitivity and trust everyday, but to see the impact you are making on a human life is unbelievable. Watching your children from birth, grow and become more like you everyday, is a blessing that could never be described. 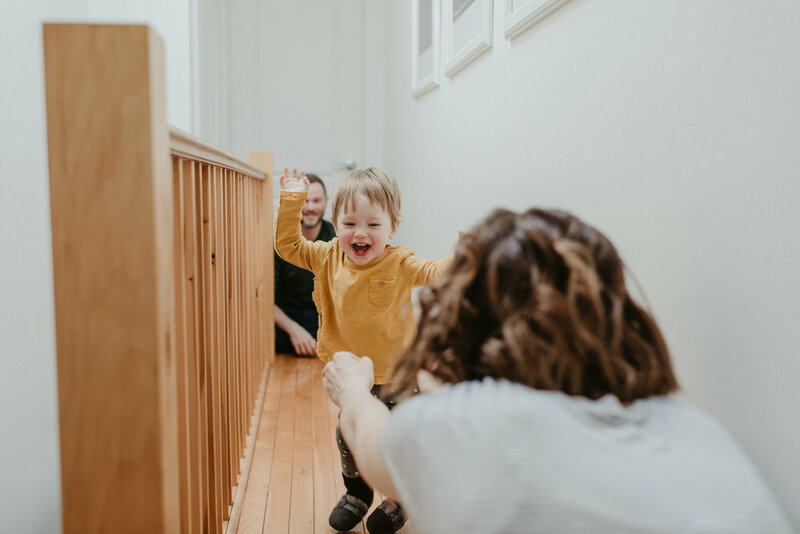 The best part about motherhood is even on the hardest day, your kids will always do something hilarious to make you smile and forget everything but that moment. The best part of being a Mom is the overwhelming feeling of love, the snuggles and the giggles. My favorite part of each day is when she wakes up in the morning and is so happy to see me. We spend the first part of the day cuddling and laughing its just the best! She makes everything and every day so much more special. Sometimes I catch myself tearing up with how proud I am to be her Mom. She is my 1st child and in 6 short months she has completely changed our lives for the better. I only have a few photos of my own mum and I when I was little. But the handful, I treasure. Seeing the love and joy in those photos is so beautiful. 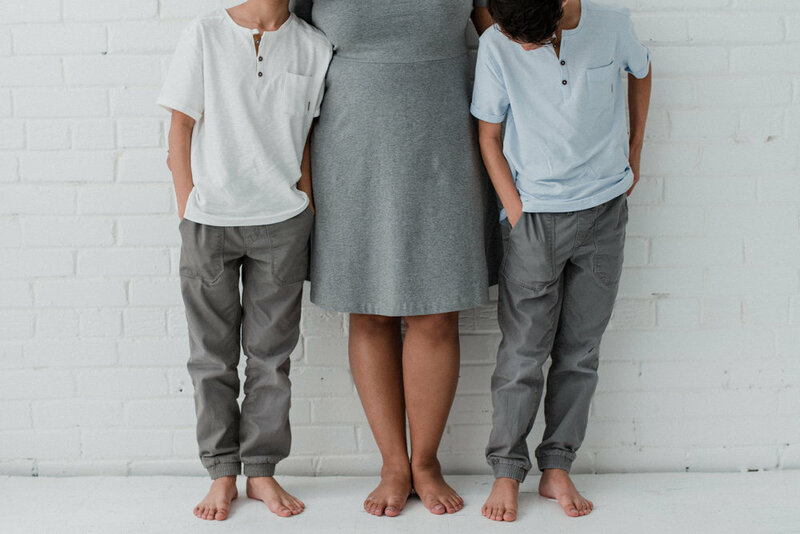 I want my sweet babes to see the joy I have in being their mum; I want them to know the trust and love and deep connection we have built. I think as Mamas it's easy to stay behind the camera, but the photos our children will treasure the most will be the ones of us together. I am so grateful to have such a beautiful capsule of photographs with my sweet girl. When another photographer asks you to document them, it is such an honour and gift. Sara has this heart of gold that truly makes me smile and her amazing patience, tender love and all around inspiration in being such a beautiful mamma mesmerizes me. 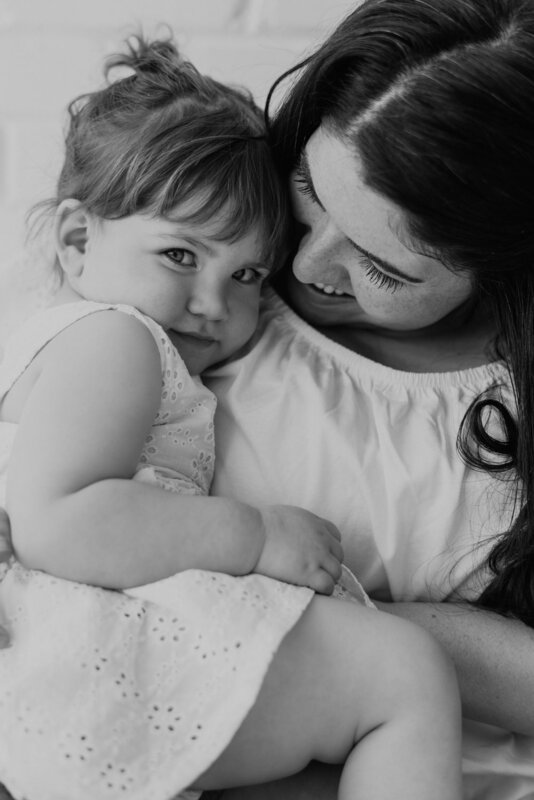 I feel really lucky being able to capture these moments between moms and their babes. When I first put the feelers out for this series, I reached out to Instagram. The community there is by far my favourite form of social media and it truly has been a place for me to share my journey, my work and keep up with all other people's journeys. 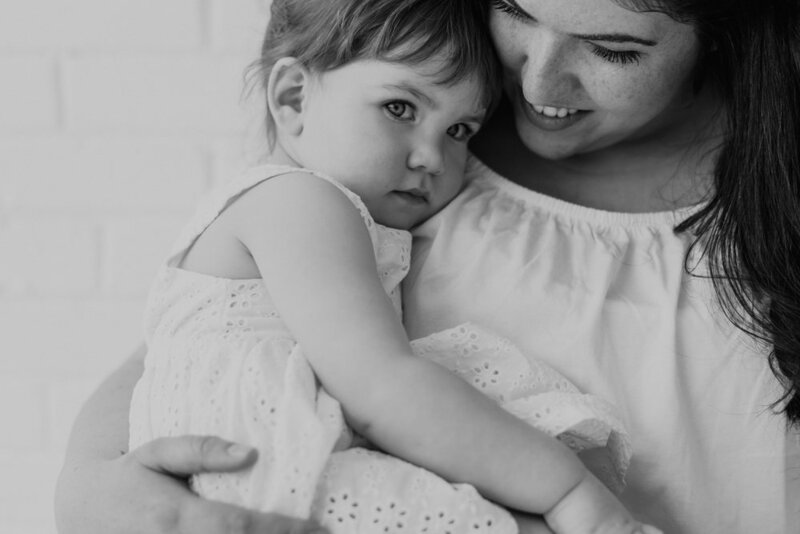 Abrianna was one of the first to write about her interest in this hush hush motherhood project I was working on and so when I did announce it, I was so very flattered as she was one of the first to sign up. Our due dates are close and I'm so excited to see as she welcomes her little babe in the world soon! It's no secret, Nikki is one of the strongest women I know and one of my very closest friends.. Her journey over the past few years has been one that would have some people doubting all things, but she remains one of the most positive and strongest ladies I have ever met. Charlotte & Sophie couldn't be luckier to have her as their mom. I know just being her friend, I'm better for it. And plus, she's a pretty amazing wife too! I always felt that I was a part of the club, the mamas club. I had a niece, nephews and children in my kindergarten class who I considered to be my own. Then we were pregnant and it didn’t end the way we had wanted. We had miscarried. I never knew heartache like that and wanted so badly to be a real member of the mamas club, not just on the outskirts. Eventually we were pregnant again, but the longing didn’t go away. I anxiously waited to be part of the club. Nine months passed and I officially joined the crew, and it is an amazing crew to be a part of. I have never known love like the love between my sweet babe and myself. It was instant and it is ever growing. When I look at Bowie I know how much my mom loves me, because I feel it each and every time I look at my daughter. 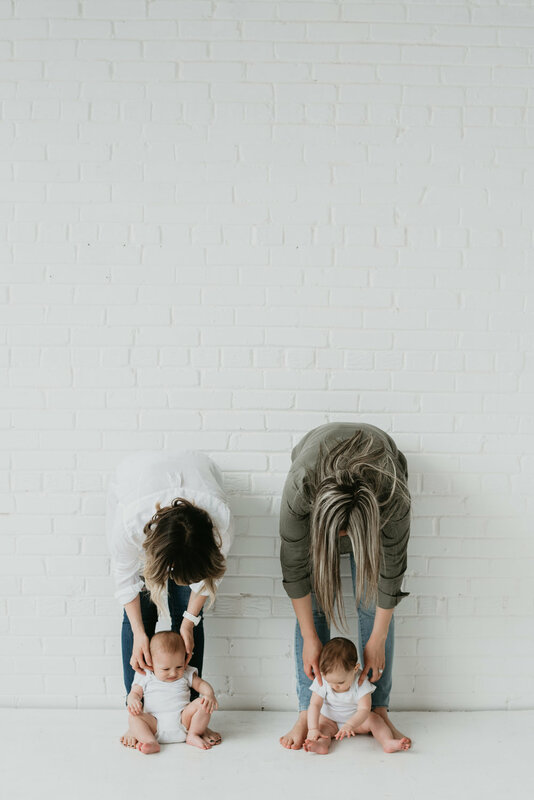 I know that I am forever changed for the better, that my husband and I are a stronger team then I thought, and that I have other amazing mamas to rely on when I doubt myself on this new path, which is all the time! Motherhood. It’s amazing, challenging, soul affirming, and not quite what I had imagined, it’s so much more. 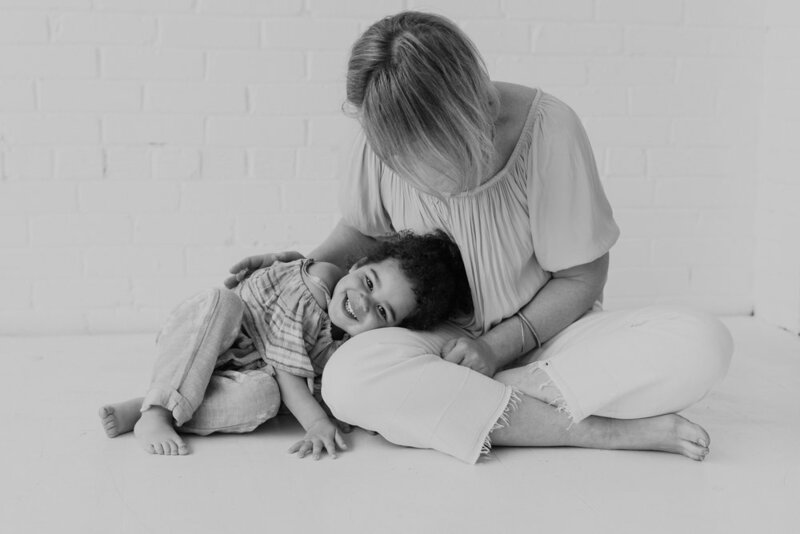 Motherhood cannot be summed up in one word, it is so much more than that. It is unparalleled joy, and hardship. It is all consuming and amazing. Raising tiny humans is one of the most rewarding, and difficult things you take on as a person. But it is worth it. So worth it. The first time you look into that little person's eyes, you know that your heart and soul are forever changed- along with your body. But it's worth it. Bianca was a past bride of mine who I've kept up to date with via facebook as she's entered her new chapters of motherhood. It such an honour when she signed up for the Motherhood Sessions. I love that I got to meet sweet Taya and see as she so gracefully has become this loving, fun and totally charming mama. When this beauty told me she was pregnant I was so very happy although it meant that she was moving out of the building we both live in. But, I eventually I got over my selfishness, I'm just trying to convince her to supply me with monthly cupcakes from her bakery. Hearing how excited she was to be a mama and watching the glow on her as she talked about all things baby warmed my heart. Being pregnant and chatting with other pregnant women has been a favourite thing of mine to be like "are you going through this?" or "did this happen to you?". It's like some secret club and its only for a short while, so it's been pretty fun to experience! I know Ashley in so many ways. 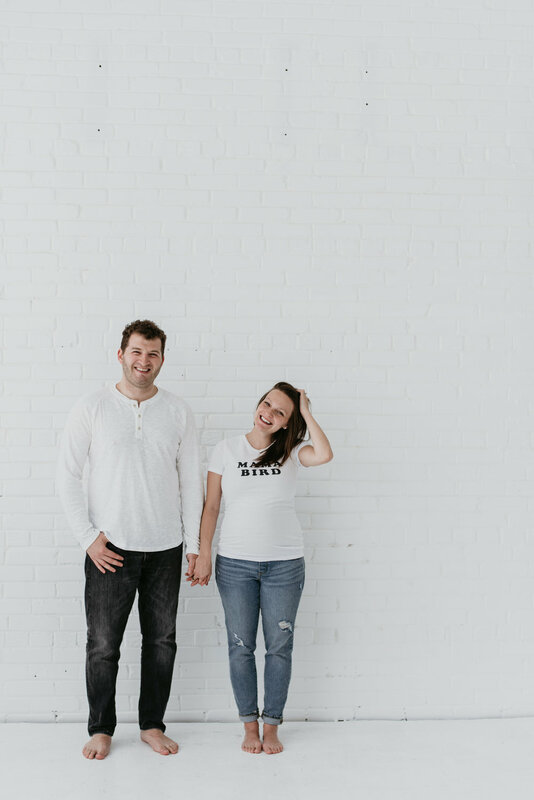 I know her as the incredible face behind Ashley Lindzon Events; who seriously is one of the classiest, most professional, organized and getter-done Wedding Planners in our industry. I also know her as an incredible friend who is supportive, caring and SO MUCH FUN. And, I know her as the loving, dotting, and totally rockin' mom to Jake, her little firecracker of a son. To have her & Jake (and her charming husband Daniel for a few shots too!) be a part of these sessions made me feel extra special & honoured. There is nothing better than the support of your friends, except well, being able to document their lives, so they never forget all these really good moments. A lot of the moms that signed up for the Motherhood sessions were past brides or past clients I've known for some time. Erica & Nina were brand new to me, recommended by another client who's little ones came down with a not so fun day care germ thing and so these two swooped in to fill the spot. And oh my! The cuteness, the connection, the play, and all the dancing to 'The Wiggles' had me all smiles for their whole session! When past brides bring me along to keep documenting their milestones, my heart really does skip a beat. 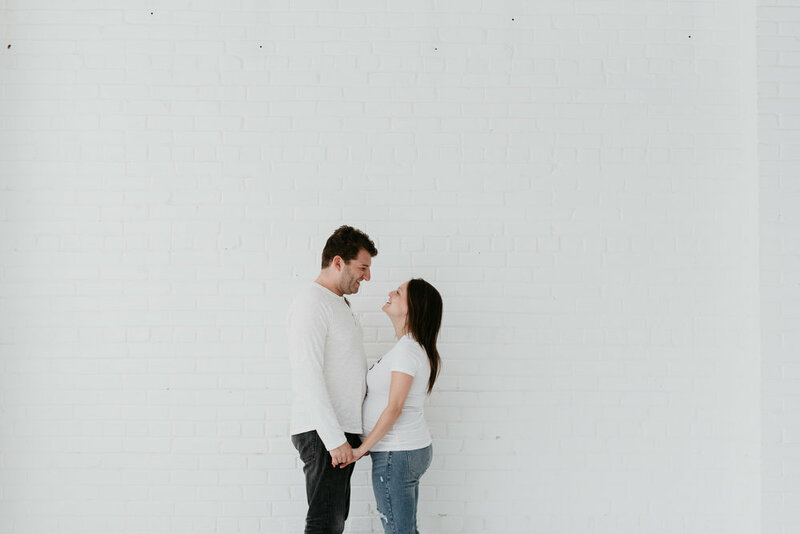 Andrew joined in for a few at the end, and their sweet connection, like on their engagement shoot, and their wedding, just makes me feel it all. Nicole & I are very close in our due dates so I was so excited that I could have her on board to do this session. 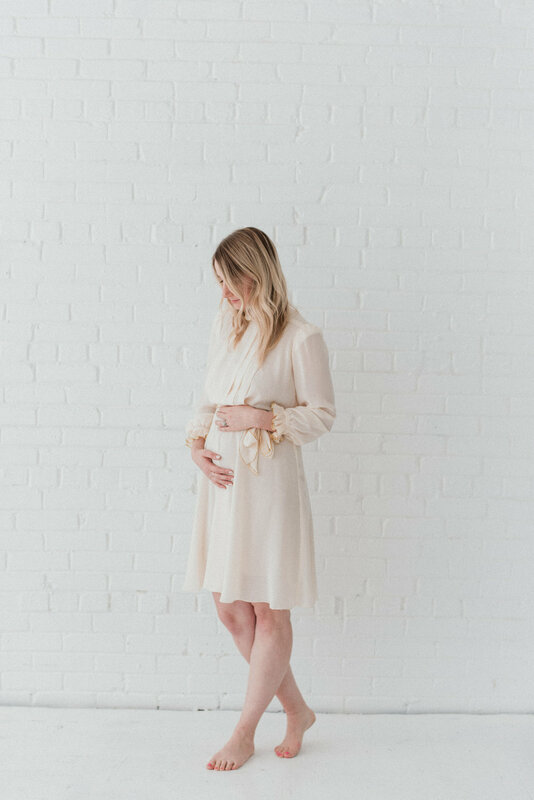 TONS of my past brides are all due around the same time as me, and it's been making me more than a little sad as I have had to send them to other photographers in prepping for their newborn photos. Part of the motherhood series timing was a little selfish as I really wanted to see these loves again in this next chapter! Glad I got to scoop Nicole up for it. 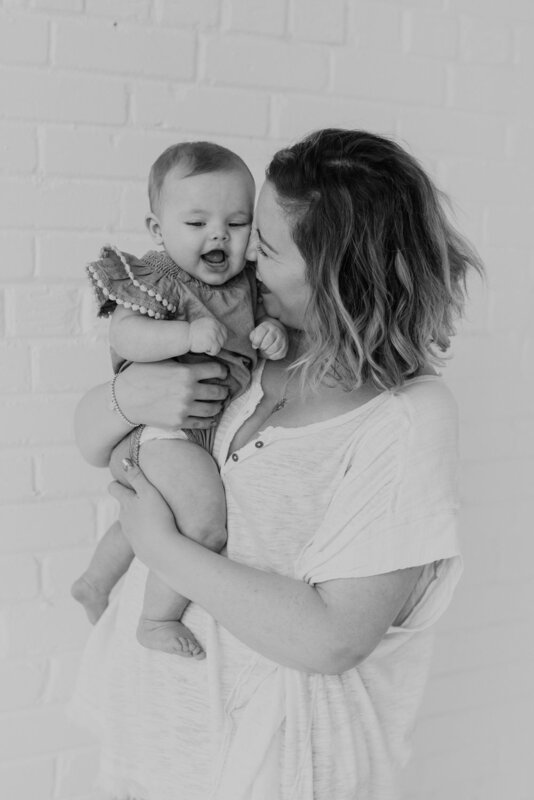 Paige is the other half of the brains behind the motherhood sessions with me. 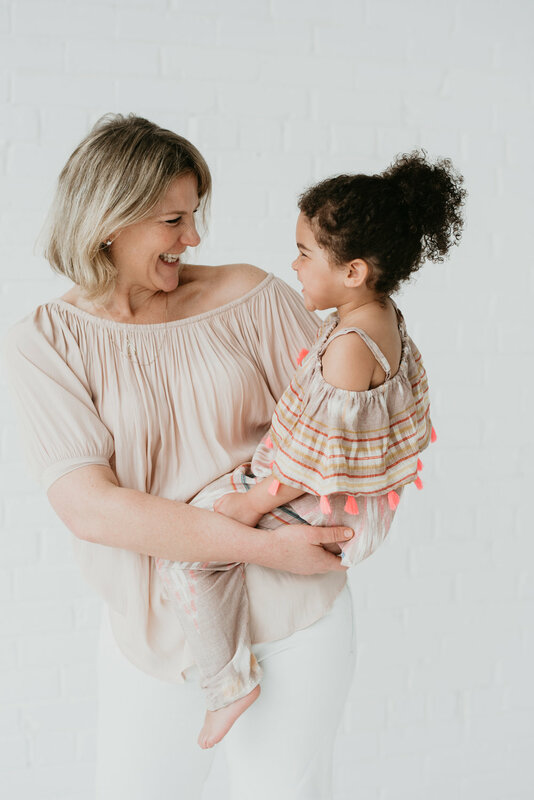 When I came up with the idea of doing mini Motherhood shoots in a studio, I chatted with her about styling and creating a whole brand to this series. Little did I know, over de-caffeinated tea for us both (I was pregnant and she apparently didn't want to stay up late due to the caffeine), that she had found out that day that she was in fact gonna be a mama. So - these sessions unbeknownst to me, had a whole other meaning to her, which just makes it that much better, and from a whole deeper level of the heart. 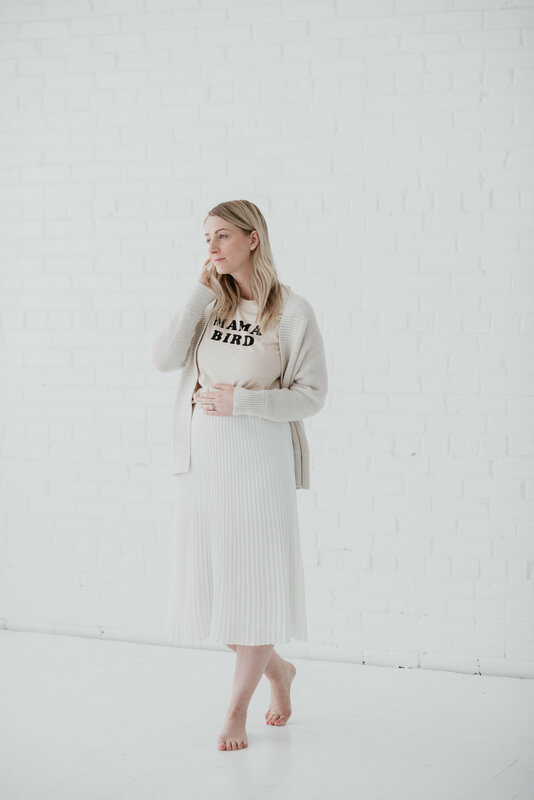 Once I found out, I was so happy for my girl and even more honoured when at the end of our first day of the Motherhood Sessions, I was able to photograph her and her sweet little bump! Today she announced her happy news and you can read all about it here. Being pregnant has been this surreal experience of simultaneously being in awe of my body and the miracle of pregnancy and also feeling like I have no control over it whatsoever. Which I feel like might be a little similar to motherhood as well?! 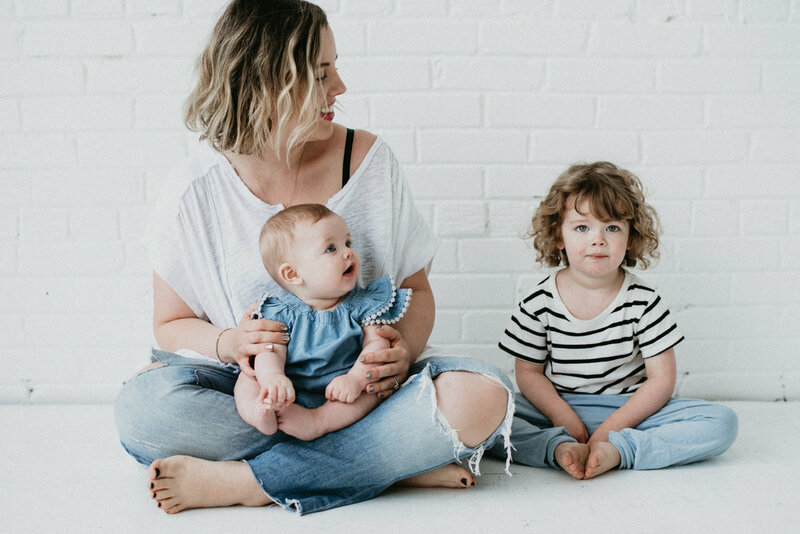 The Motherhood Sessions provided this amazing opportunity to get a glimpse at what motherhood looks like for different women, and watching them interact with their little ones and share their stories has probably been one of my favourite ways to gain insight into this new adventure while celebrating the beauty of these special relationships. And stepping in front of the camera? I never thought I would be one to want to document pregnancy in the various stages, but I can see now how special these are going to be for years to come, capturing these early months and bringing me right back to all the fluttering emotions that accompany this magical experience. There is someone for everyone, and I'm so happy that the families I work with throw perfect out the window and are as real as they can be. They embrace the imperfectly perfect life. And because of this, I get to witness all the things that really truly do melt my heart, especially when thinking about my own family. 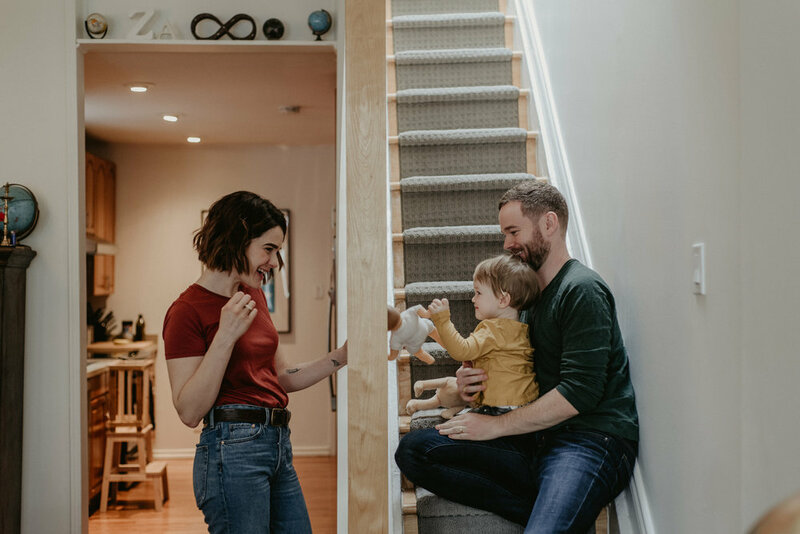 The way I document families allows us to capture the quirks and those special habits that you want to remember 10-20 years down the road because they are what makes your family so unique. 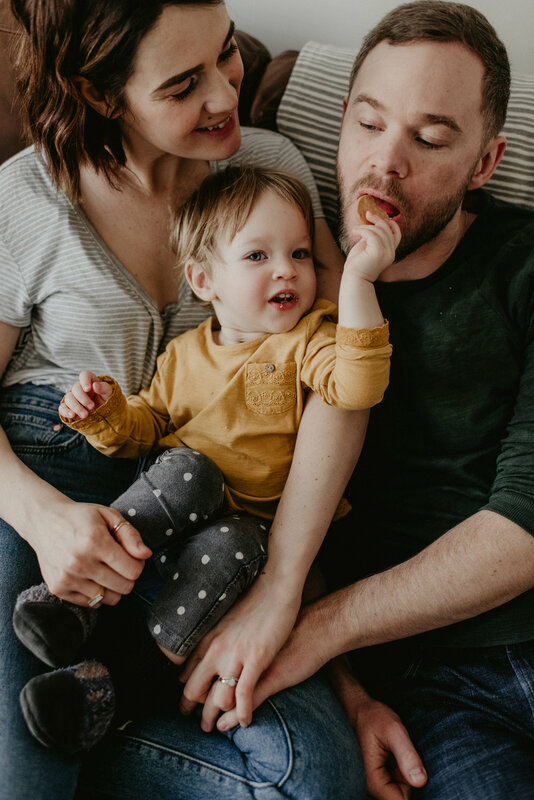 When I photograph families, it's more about the little ones leading the shoot in sharing with me their favourite funny voice that Mommy or Daddy make when reading them their favourite book, or getting super messy eating breakfast. 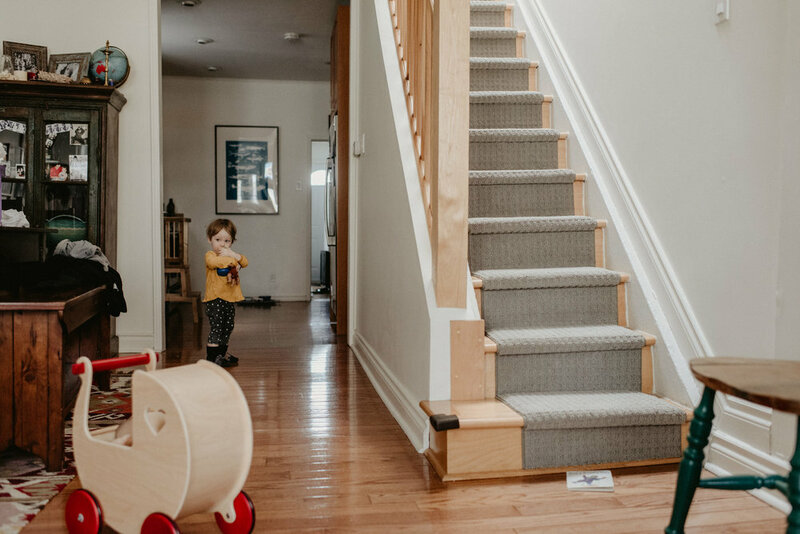 Or, even just ignoring me for most of the shoot and doing what they do every day; like looking out the window for the post man, or snuggling with their blankie, or making a total mess with ALL the blocks they can find in the play room. Often as we move throughout the house, it looks like a tornado make have just entered but I promise the photos are so worth it! In just one session, I learn so much and they get to share so much. 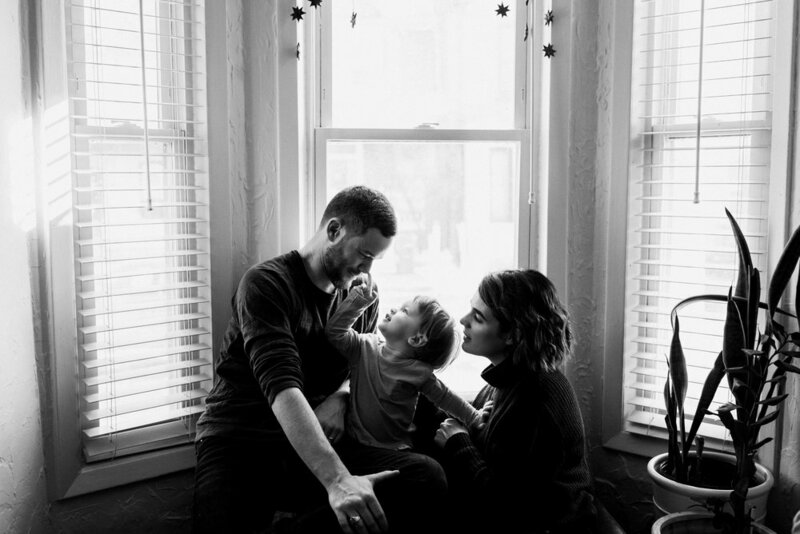 The photos are a little snippet of this family's real life and these are the moments I think are the most cherished. Doing these shoots allow you to capture these moments for always. Photos are magical, they hold so many memories. Our minds absorb so much over the years and we forget, but one photo can instantly bring us back to this time & place. That's what I focus on when I photograph my families and it just fills my heart with all the good things. And now on to this particular sweet famjam. 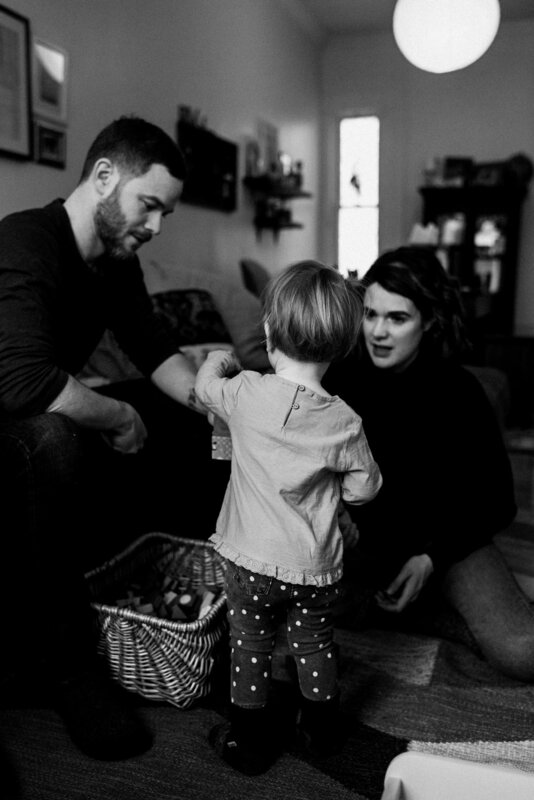 Zoe, Aaron & Esmé. I've known these loves for a while. And watching them go from dating, to engaged, to married and now to parents, it's been pretty lovely to see how they operate in this beautiful partnership based on love. Esmé is such a gentle, curious and adorable little girl that has such a amazing mix of both her parents. 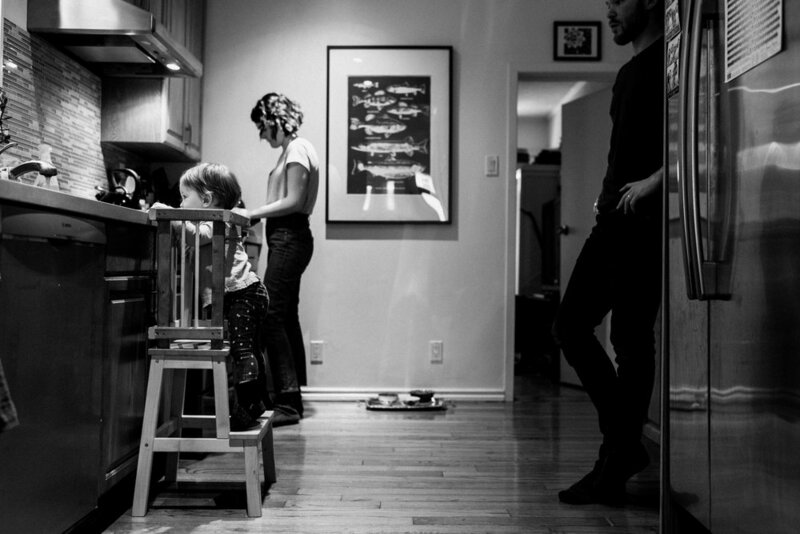 Here's a little view into this delicious family's life. Enjoy, this one holds a special place in my heart. Despite being known for my weddings and all things love, I shoot one heck of a lot of lifestyle sessions throughout the year. I'm pretty lucky that so many people seem to know this and even more lucky that clients make themselves available throughout the week for this, as with the amount of weddings I photograph, weekends just aren't an option for these bookings. To all the families who've invited me into their homes and their hearts; thank you for your support. You make what I do such rewarding work and I feel so very excited to capture the realness of your lives. I've also learned such a great deal from each and every one of you. 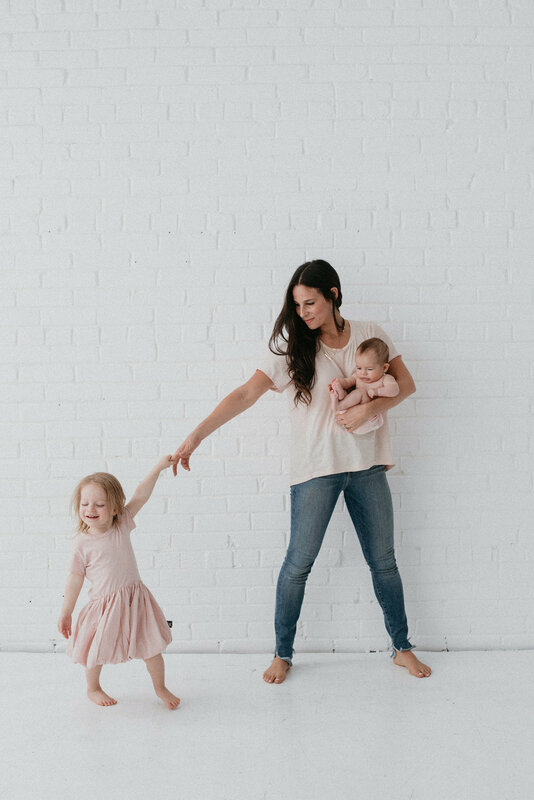 Your honesty in life, your fresh approach and your abundance of information makes me feel pretty excited and good about entering this "family" or "mom" stage of my own life. 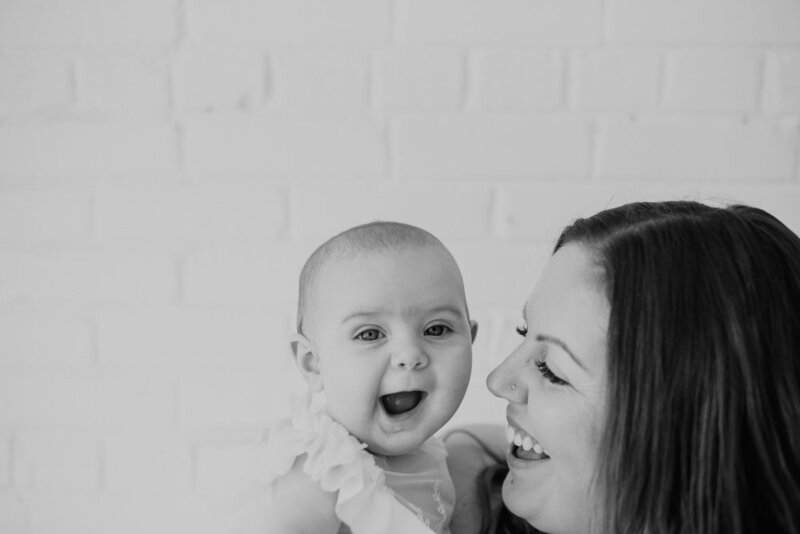 From the maternity shoots, to birth stories (yes I do birth coverage! ), to the newborn shoots and then family shoots as your little ones grow; each has a special place in my heart. 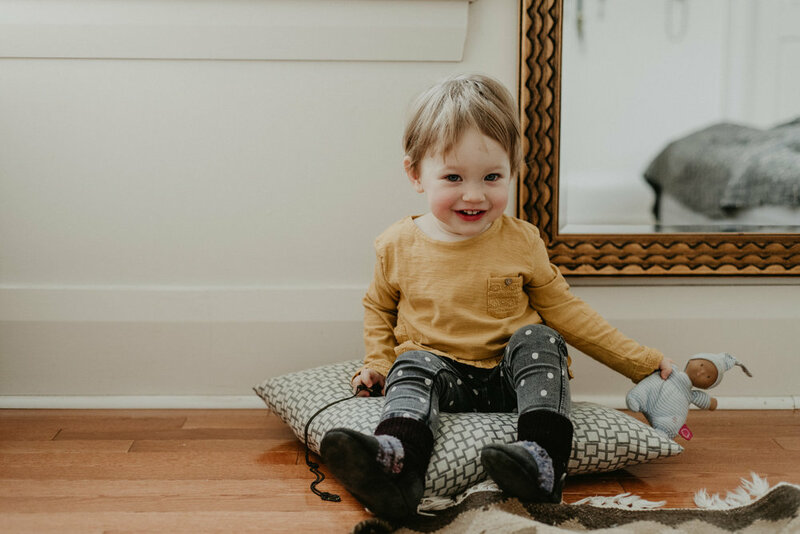 These sessions fill my days with happiness and I look forward to capturing these milestones so very much. To all my returning clients, thank you for your continued support in my work and for letting me document these chapters as your families grow. Thank you for all the adventures, the pancakes breakfasts, the muffin making, the bubble baths, the intimate moments of just cuddling or even jumping up & down in bed, reading your favourite books and all the laughing, so much laughing. Each moment has been so very special. Big love to each and everyone of you! I first met Emily & Evan at a wedding I was shooting (hi Nicole & Ryan). Emily stopped me as I was passing her table on my way to my seat (with a past bride & groom, hi Mandy & Jason! ) and told me that when she got married I'd be doing her wedding. Evan had a smile with a touch of shock as he hadn't even popped the question to her yet. Fast forward, three years and a bit later, and I've documented their engagement times, their wedding, a bunch of their friends and families weddings, and now the next chapter of waiting for baby. I hold a special spot in my heart for these two and being able to time stamp these memories for them makes my feel all the good. Love you tons Emily & Evan. Thanks for making what I do so much fun and always being a couple that I'd be happier than a bird with a french fry to hang with for hours and hours. You two seriously rock and this little babe of yours is gonna be ever so lucky to have you as parents. Ps. just got your sweet card and gift in the mail too! I can't wait to take my man out for a date to Bar Isabel! © Scarlet O'Neill, 2017. Branding + Website by Studio Bicyclette.